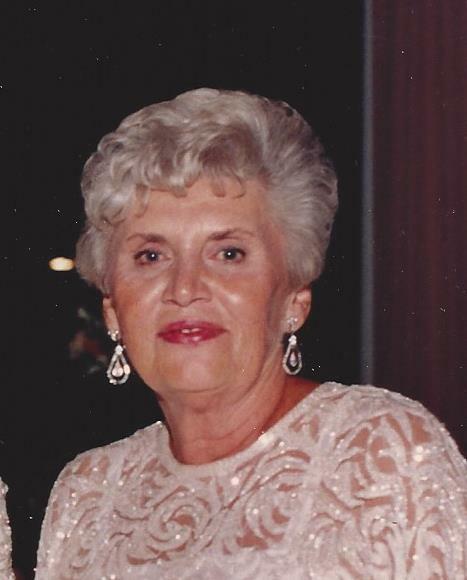 Beverly A. Lombara, age 84 years, of Lynn died Tuesday at her home after a brief illness. She was the wife of the late John J. Lombara with whom she shared 58 years of marriage. Born in Lynn she was the daughter of the late William H. and Sophie (Levendowska) O’Brien and Wanda I. (Levendowska) O’Brien. Beverly attended Lynn schools and graduated from Lynn Classical High School, Class of 1952. She earned an Associate’s Degree from Chandler Business School in Boston, Class of 1954. She was employed as an executive secretary at the General Electric in Lynn for several years. Along with her husband John she helped operate the Lombara and Son Funeral Home for many years until they retired in 2015. She was a member of the former St. Michael’s Church, St. Hedwig’s Society at St. Michael’s Church, the Guild of St. William’s at St. John’s Prep, and a former member of Gannon Golf Course. Beverly enjoyed socializing, going to the beach and reading, most of all she enjoyed spending time with her family especially her three grandchildren. She is survived by her daughter Julie A. Lombara of Lynn, her son John J. Lombara Jr. and his wife Lia and three grandchildren Peter “PJ”, Taylor, and Alexa Lombara all of Boxford, her brother Lawrence and his wife Pamela O’Brien of Haverhill, as well as many nieces, nephews and cousins and her favorite grand-dog Lilly.